Today's fast-paced lifestyle has lead to panic attacks being on the increase. However, these panic attacks can be treated using Ayurvedic practices. 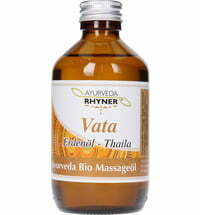 Ayurveda considers panic attacks as being a form of modern vata imbalance. Using certain measures can balance the doshas and thus ease panic attacks. The holistic approach of Ayurveda is particularly beneficial for those who have had only moderate results using conventional forms of therapy. Medication as a form of treatment for panic attacks loses its effects once the medication is longer consumed. This is due to the medication only treating the symptoms of these panic attacks as opposed to their underlying roots. The ayurvedic approach can lead to supporting recovery on all levels. Therefore, it is also considered a supplementary form of treatment in conjunction with conventional therapies. Statistics show that approximately four percent of us will suffer from a panic attack or anxiety disorder in our lifetime. A typical panic attack will subside within about ten minutes. However, in some cases, these panic attacks may last several hours. Many who suffer from severe panic attacks tend to withdraw themselves more and more. An expert ayurvedic doctor recognizes that these anxiety disorders are but symptoms of the underlying root of the problem. The real cause of these symptoms needs to be monitored very closely each time. Suitable measures can only be taken once the trigger is identified. Faster, higher, stronger - Today's lifestyle imparts wanting more for a longer period of time without rest. The body's warning signs are ignored until it rebels and the problems erupt. 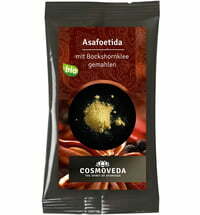 the use of ayurvedic herbs: Ashwaganda, Jatamansi, are Guduchi and Brahmi .